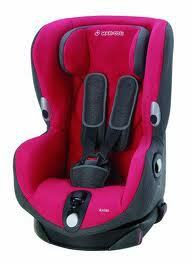 A group 1 car seat is designed to restrain a child in the event of an impact. They normally have a 5-point harness and are designed to hold the child in the seat and spread the force through the shoulder straps, hip and crotch straps. It is law for every child to be restrained in the car in a suitable child restraint and there are very few exceptions. In both cases the child must the wear the adult seat belt, if available. Why are there such big price differences? ADACcar safetycar seatcar seatsextended rear-facingin car safetyinformationPLUS testrear facingStiftung WarentesttestingWhich? « Prince George is here!